Police are appealing for witnesses after a man was left with cuts to his head and a broken elbow in an assault in Milton Keynes. 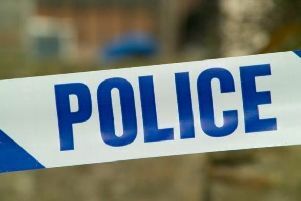 At around 11.35pm on Saturday (June 2), the victim was walking through the underpass beneath the H10 in Bletcham Way, Bletchley, when he was approached by two men. The victim, a 28-year-old man, was attacked by one of the men with a baseball bat. The main offender is described as a white man of medium build and approximately 5ft 10ins to 5ft 11ins tall. He was wearing a black hooded top with a zip down the middle and his face was partially covered. The man was carrying a green baseball bat, which he used to attack the victim. The second man is described as white, medium build and also around 5ft 10ins to 5ft 11ins tall. He was wearing a white stripy jumper and a black scarf, which was covering his face. The victim was taken to the Milton Keynes University hospital. Investigating officer detective constable Serena Bellis of Milton Keynes CID, said: “The victim was badly injured in this incident, and I am urging anybody who may have witnessed the assault, or who believes that they may know the offenders to make contact with police. “The victim walked onto the Denbigh roundabout after the attack and tried to flag down passing vehicles for help. The victim is a white man with brown hair, and was wearing a red t-shirt and dark grey tracksuit bottoms. He would have had blood coming from his head while flagging down traffic. “I am also appealing to anyone who may have stopped to help to victim to make contact with police on 101, quoting reference number 43180166909.